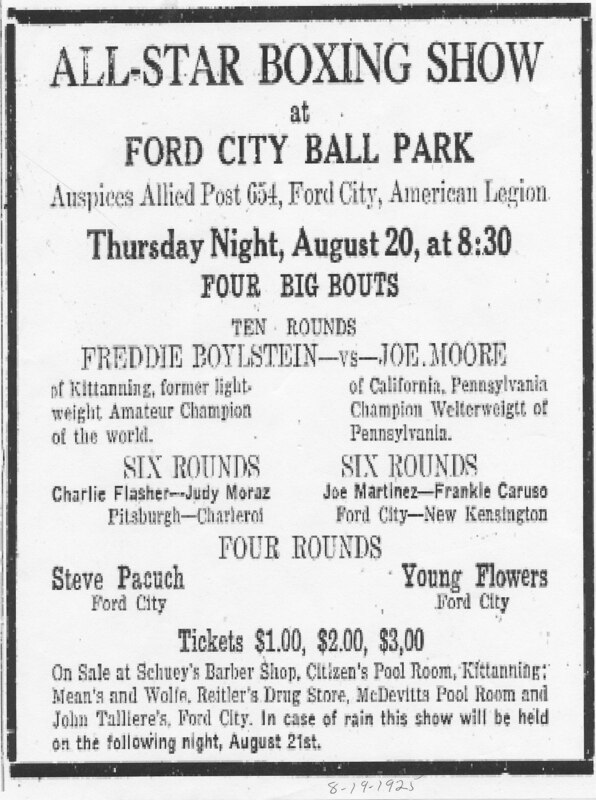 What seems like a spectacular event when it occurs today for local boxing, was a common event in the 1920’s. Matches and exhibitions occurred almost on a weekly basis. A remarkable feat took place with a local boxer that today only a few have heard about, that is Kittanning’s Local Boxer Fred Boylestein. 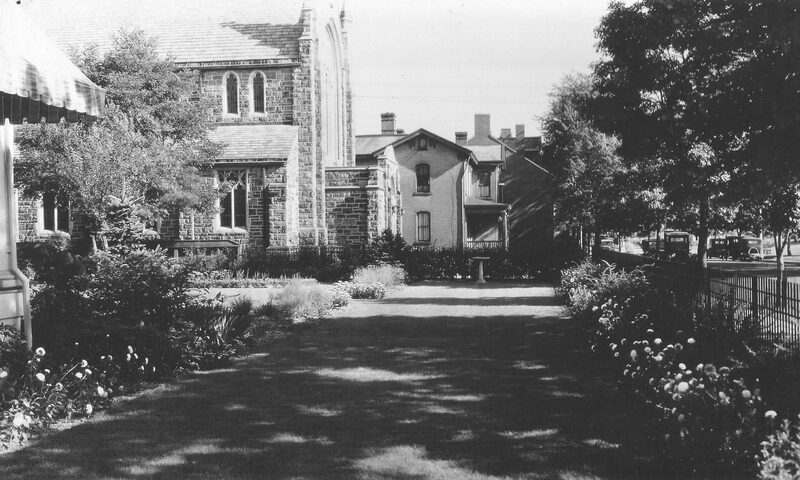 Fred Boylestein was born in March 15, 1902 to George L. and Catherine (Haines) Boylestein. Not only having a stellar amateur career, he continued to box professionally well into the 1930’s, then continued training young fighters. He later became an employee of Jos. S. Finch Co. which led to him becoming Chief of Police for security there. Fred continued to live in Kittanning, residing at 426 Highland Ave. for several years. In some periods of his life he would occasionally give boxing sessions at the local YMCA. 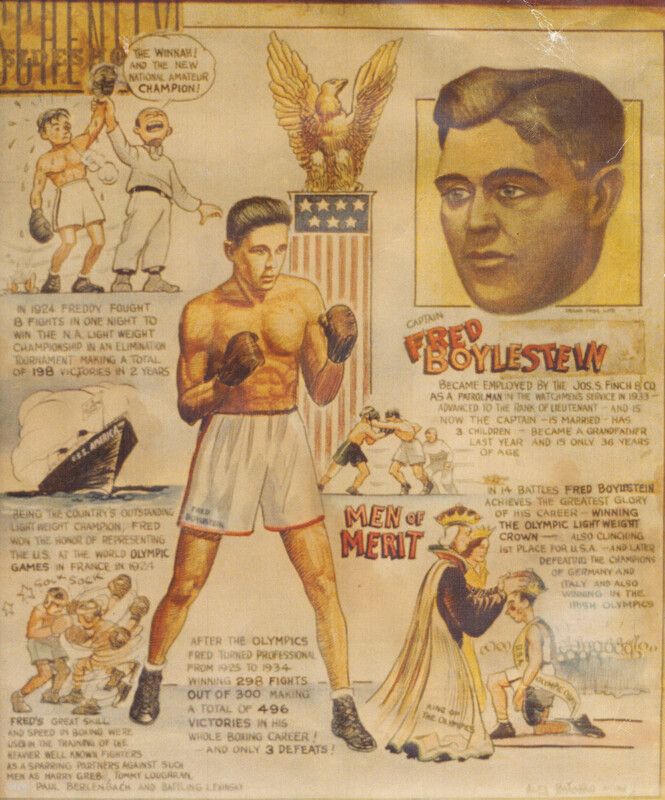 Fred’s father passed in 1931 and it is noted in his obituary that “he was a boxer of considerable merit himself before training his son Fred”. His mother Catherine who had resided with Fred, passed away on Feb 27, 1963. While in France, Fred sent to his local friends at home, a letter describing his experience before the matches began. 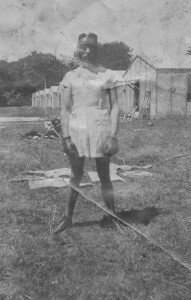 A photo was provided by members of the Boylstein Family at the this camp in France. It was published in Simpson’s Daily Leader-Times on July 18, 1924. “This is the Fourth of July and thousands of people are here for the games. I boxed a three round exhibition with Al Mello today for General Pershing and Senator Reed, of Pennsylvania. They gave us all a handshake and hoped we would win. 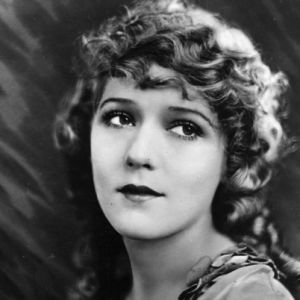 Mary Pickford was here. I had a little chat with her, she wrote her name on my headgear. We are not allowed to go out any place here and it is lonesome. Great House and I, and everybody else would like to be back home. All we do is sit, and tomorrow is the Fourth and no fire crackers. The boys start tomorrow to see who makes the team. They start boxing the July 15th and continue until July 20th”. “How are all the boys? Give them my kind regards. You can hardly sleep here at night. Don’t get much training, as it is raining here now and has been for two days. I met a gentlemen from Pittsburg and also young Romig(see link below) from Armstrong County. He is a dandy fellow, he is a runner and there are many boys in the camp. We are located about 15 miles from Paris on a big farm and cold water to bath in. I worked out a little today. I shadow boxed for four rounds, skipped rope two rounds, and then boxed Jack Williams two rounds. We stepped out pretty lively. I will have a to tell you when I get back to the old home town that Tom Dorsey, New York promoter wants Great House(Ed Greathouse) and me to turn professional when we come back, win or lose over here. He says winning in the USA is the main thing. I told him I would see dad and what ever he said would go. Expect to sail home for July 28th”. After beating George Shorter of Great Britain Fred went on to fight Alf Genon of Belguim and won. Then he fought eventual Gold Metal Winner Hans Neilsen of Denmark. Excerpt of the Neilsen/Boylstein fight from a syndicated newspaper. “In the lightweight class Fred Boylstein of Pittsburg, was defeated by Neilsen of Denmark in a bout in which the Dane led all the way. Boylstein did some pretty boxing in the first two rounds, but the Dane’s ability to reach the body gave him a decided advantage. In the third the Dane got to the head with regularity, Boylstein tired and was obliged to hang on his opponent”. For the Bronze Medal Fred came back to win over Jean Tholey of France. Even after losing his bid for the Gold Medal, Fred continued to fight hard to bring back a medal for his country. A listed newspaper account of Fred Boylestein’s first Professional bout occurred in Simpson’s Daily Leader Times on January 10, 1925. His father George sent a message home from West Virginia that Fred knocked out Jack Rootie in the 5th round. Fred continued to box in Pennsylvania, Ohio and New York professionally. 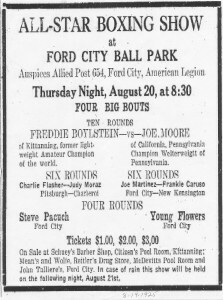 Magistrate Gary DeComo’s father Patsy DeComo of Ford City was one of the young fighters Fred had trained.